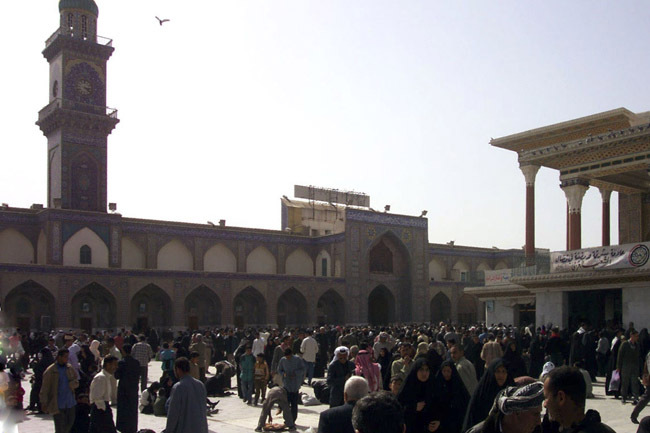 Inside the courtyard of the al-Kadhimain shrine in Baghdad. Two of the twelve Shiite Imams are buried here. Tradition has it that prayers offered at their tombs are especially effective.